The State Bank of India (SBI) has released the notification for clerical posts for its branches spread across India. According to the notification released on April 11, 2019, the online registration for 8,653 SBI Clerk 2019 exam will start from today i.e. April 12, 2019. 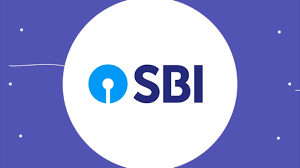 The last date to apply for the SBI clerk recruitment is May 3, 2019. Essential Academic Qualifications: (AS ON 31.08.2019) Graduation in any discipline from a recognised University or any equivalent qualification recognised as such by the Central Government.